It doesn't seem like so long ago when Mr. Jelinek (of Farben fame) gave a nod to his aging countrymen and first dipped his toe into the cosmic world of Kraut-rock. 'Kosmischer Pitch' showed a marked progression from his previous work, and in many ways was his most experimental album to date, something which is here further developed through six pieces of drifting psychedelic ambience. 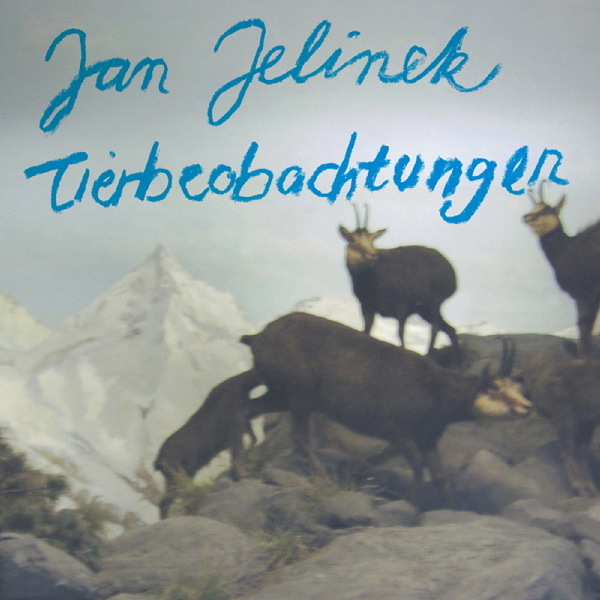 Strangely enough, Jelinek has dedicated the album to the humble animal kingdom; the snappy title 'Tierbeobachtungen' means 'Animal Observations' and apparently the themes touched on are release and liberation. Quite weighty then, and Jelinek chooses to embed his ideas beneath a mire of feedback, white noise and dense, sludgy synthesizers. It's surprising how well he manages it, as melodies rise and fall slowly and sounds appear for just an instant, but when you consider the success of his previous records - most notably the sublime 'Loop Finding Jazz Records' - it's somewhat logical to see how his style has progressed. The decomposed skeletons of jazz are still locked away here somewhere in the groove, and as percussive loops blend seamlessly with the thick noise you can almost tap your feet - to a stray bass-line maybe or a lightly plucked guitar. I was lucky enough to catch Jelinek a couple of times on one of his recent tours, and I can safely say that 'Tierbeobachtungen' is far closer to his live material, especially when he plays solo using a variety of small instruments as his sound source and funnelling them through chains of guitar FX pedals. Opener 'A Concert for Television' takes a crumbling vintage synthesizer line and embellishes it with distant chiming as white noise slowly builds until it takes hold of the track magnificently. Elsewhere 'Up to my Same Old Trick Again' takes a simple swung half-heard rhythm and lavishes over it a summery flanged guitar letting these simple loops form the backbone over which Jelinek's new found taste for distortion is indulged. What is interesting is how he manages to harness the noisier elements so well, like My Bloody Valentine before him, he uses these sounds as another instrument and they become just as important as the loops he has become so synonymous with. 'Tierbeobachtungen' is a defined achievement and one of the most sparkling and unique moments in Jelinek's rich catalogue - highly recommended.